Coming to you for the first time from the Sapporo studio! I’m Piyopiyo, a 2D artist. 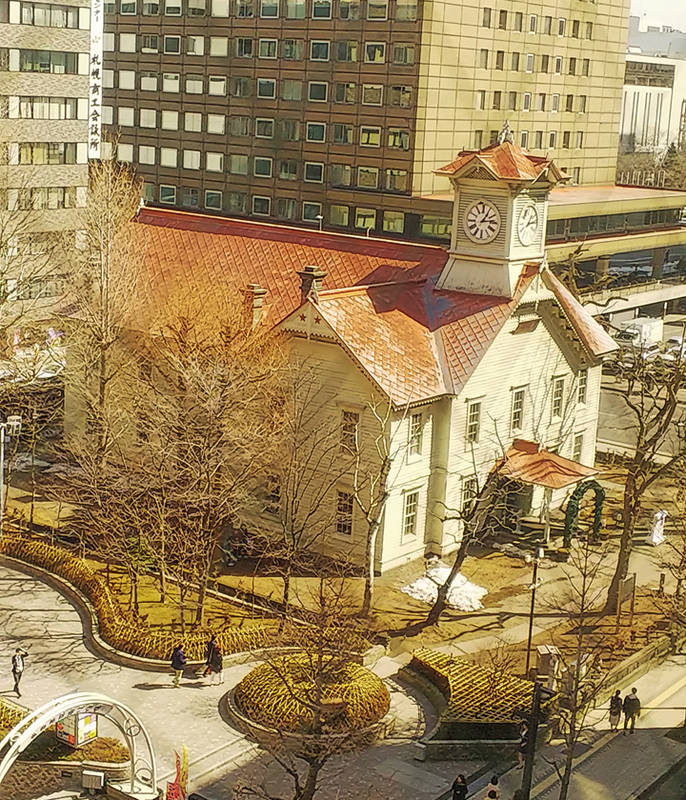 Because you can see a clock tower from the building Sapporo studio is in, you can hear the sound of the clock tower clanging every hour. Personally it makes me feel nostalgic. I like it. In this wonderful (?) environment, all the Sapporo staff members are energetically devoting themselves to their work every day. The Tokyo head office and Sapporo office. We always have a monitor running Skype to connect the distance between the two offices. For individual meetings, we usually use our personal computers to Skype with the Tokyo office. However! Last year, the day before the Tokyo Game Show, without informing anyone in the head office, I launched a surprise attack!…or a surprise visit to work (it wasn’t a business trip, I used my paid holidays). But in a moment they welcomed me, and asked me questions about work as if it were normal. （°ワ°）What?